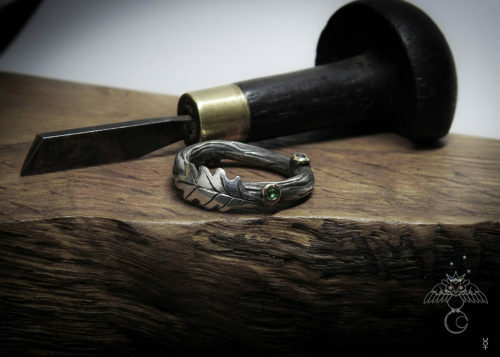 The 'Green at heart' ring. 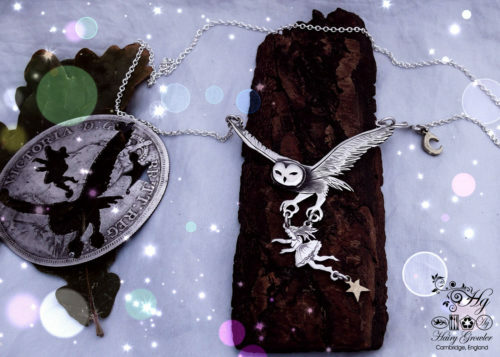 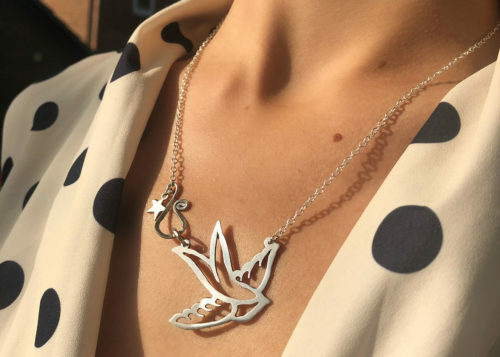 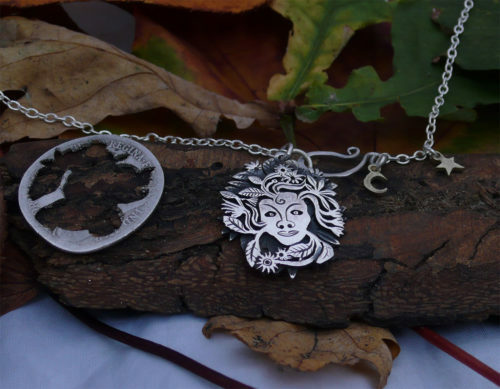 Woodland inspired, nature loving, contemporary and fun, not to mention completely gorgeous ethical silver from the Hairy Growler Jewellery Co. 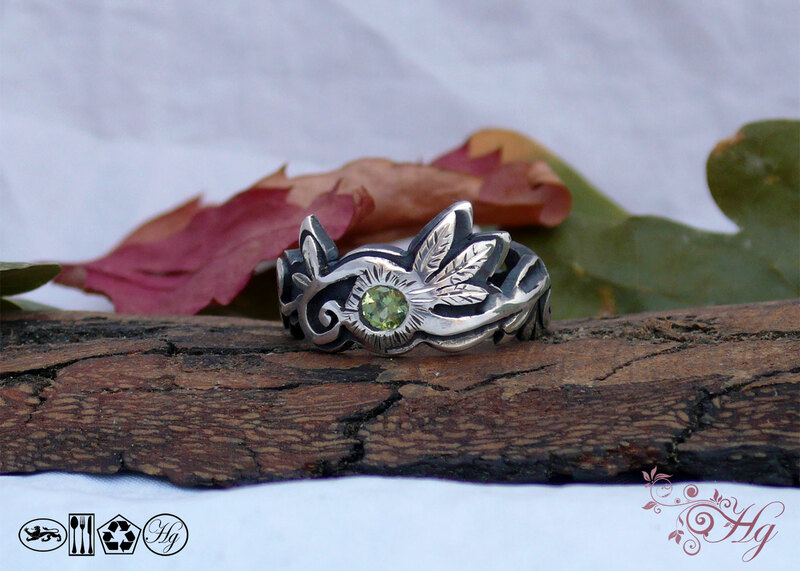 This beautiful ‘green leaves’ ring has been recycled from a lovely antique, sterling silver Victorian teaspoon. 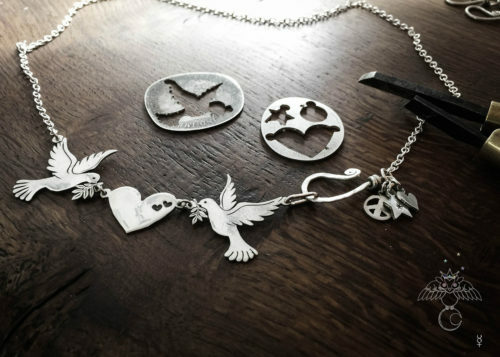 Each one i create is completely original and hand cut. 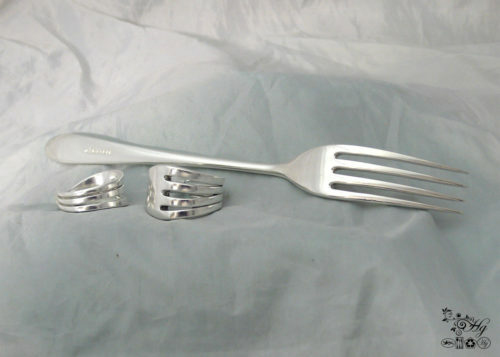 The spoons i choose to recycled are ones which antiques dealers find hard to sell due to not being part of a greater set. 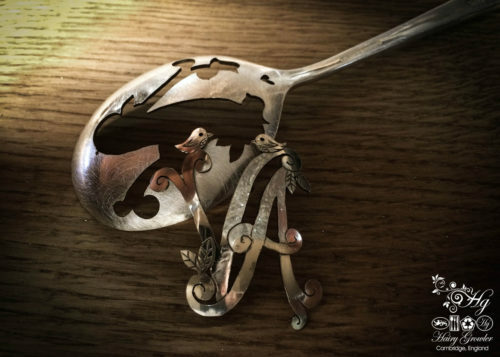 These lone, once lost spoons find a new life in the Hairy Growler workshop! 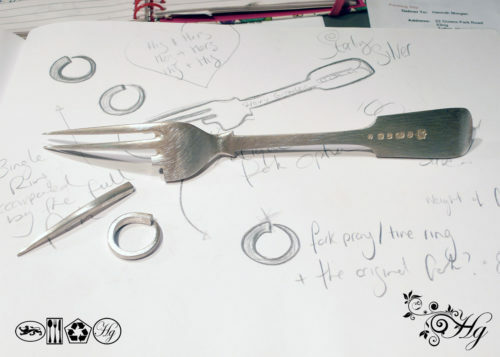 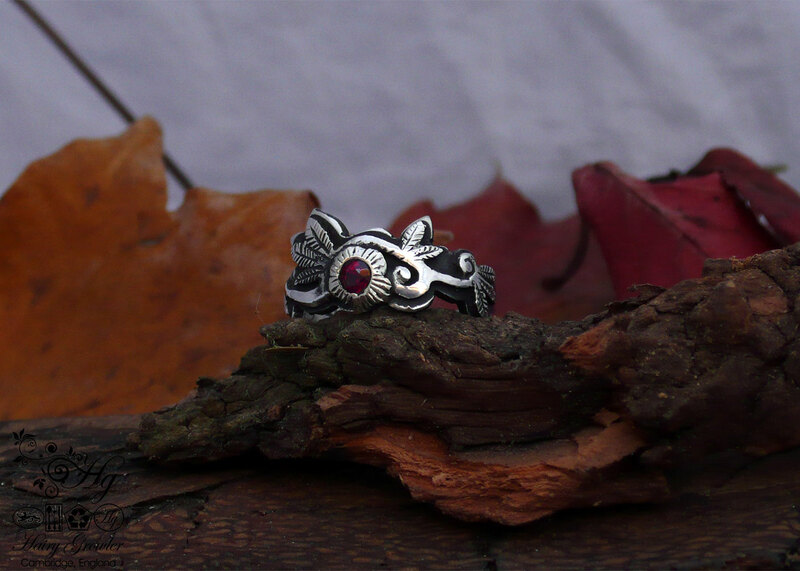 The spoon is worked upon and transformed into a wonderful and special ring. 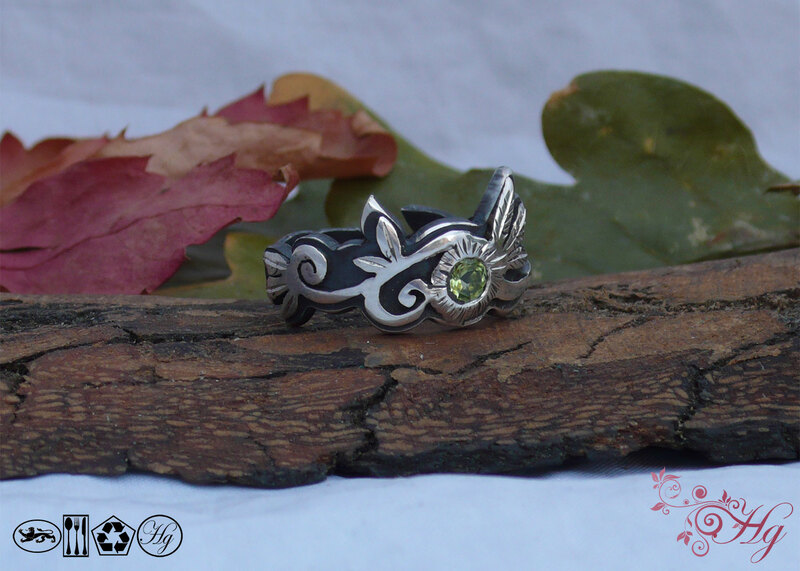 It is set with a fabulous faceted peridot.